While complete clones are usually frowned upon, when a good formula has been established there is no reason not to get inspiration from it either to give us more of what we are craving, or to further a genre. After all, FPS games started off as “Doom-likes”. And when the inspiration is the masterpiece Hotline Miami, bring it on. 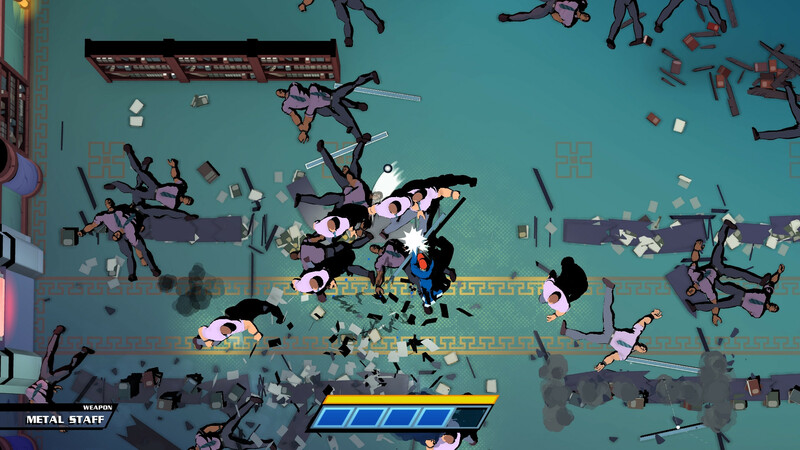 Mr Shifty is a 3D game played from a top-down perspective, with its titular character cleaning levels of a building by punching the goons with his bare hands or by picking up anything lying around that can be used as a weapon. So far, we are in familiar territory. Except that Mr Shifty will not stoop so low as to pick up dishonorable firearms, he will only use melee weapons. Or throw some decor around, like the trident of a statue. And guess what, pointy bits traveling on a straight line? Chain impalement. Oh yes, there is nothing as satisfying as pulling this off. Another major difference with Hotline Miami is the level design. 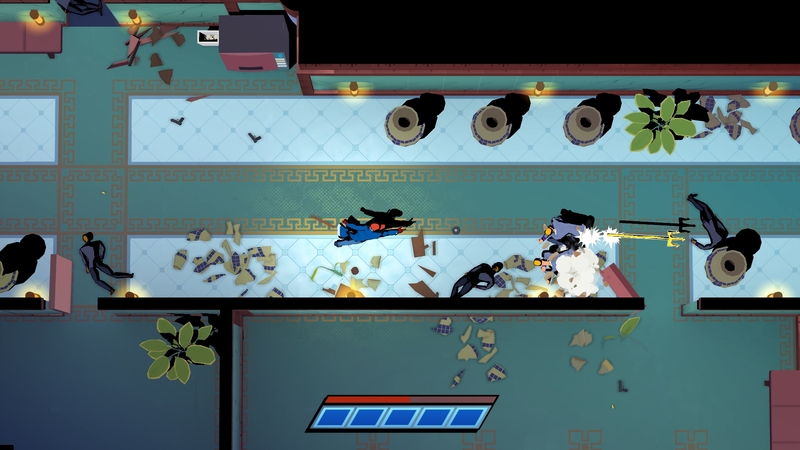 While Hotline Miami revolves around enemy placement and how to quickly dispatch the mobsters by planning your route and your weapons, Mr Shifty mostly fights from up close which raises the issue of variety if you play for a long time. 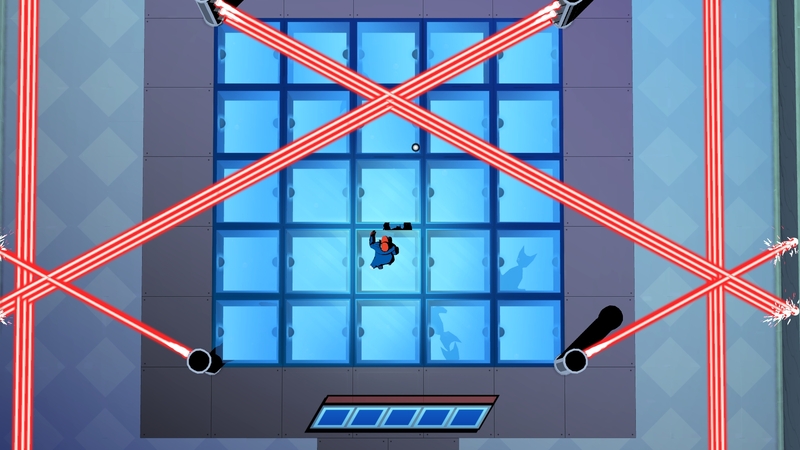 Except that there are not just various types of enemies to deal with, but also traps such as lasers and defensive machine-gun turrets to spice things up and expertly change the pacing. 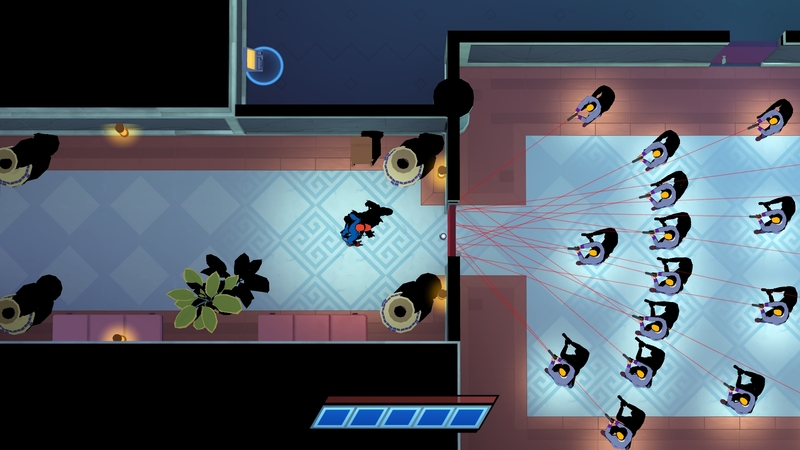 To deal with all these threats, Mr Shifty has been gifted with what is often called a “blink” ability. Or if you have never played a game with something like that, think about Diablo from X-Men and his teleport power over short distances. The developers of Team Shifty had the good taste not to put drastic limiters on this ability, as it recharges very quickly. The result is nothing short of spectacular and empowering. Punch an enemy while his colleague is taking aim, then teleport behind to dodge the bullet and kill him. A bunch of buffed goons are coming your way, teleport to another room, kill the three guys standing there and retrieve a wooden oar ornament from the wall. Blink to the buffed goons and kill most of them with one sway of your weapon which breaks on impact, then finish off the survivors by kiting them with the teleport and letting them feel your power before they can react. Everything happens lightning fast and leaves you with an immense feeling of satisfaction and enjoyment. To reinforce the impact of the violence, bodies fly around, glass shatters, furniture breaks, walls crack and eventually break. The sheer violence of your punches is something that you will not easily get bored of. 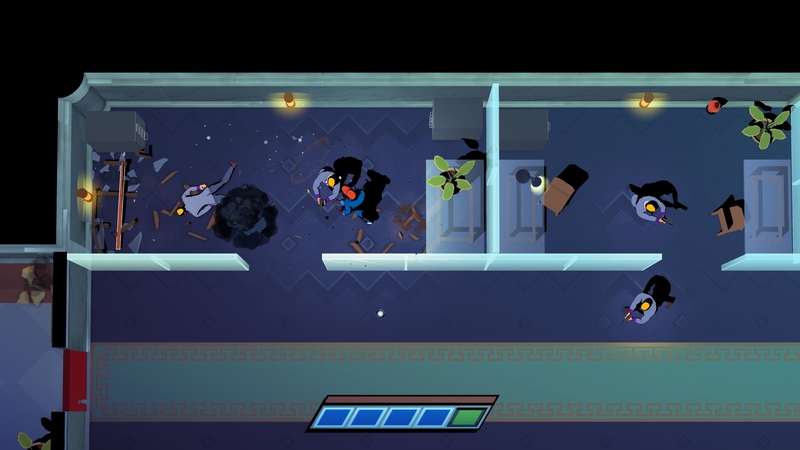 Sadly, the game opted for a very clean art style, so for Hotline Miami enthusiasts the blood will be sorely missed. 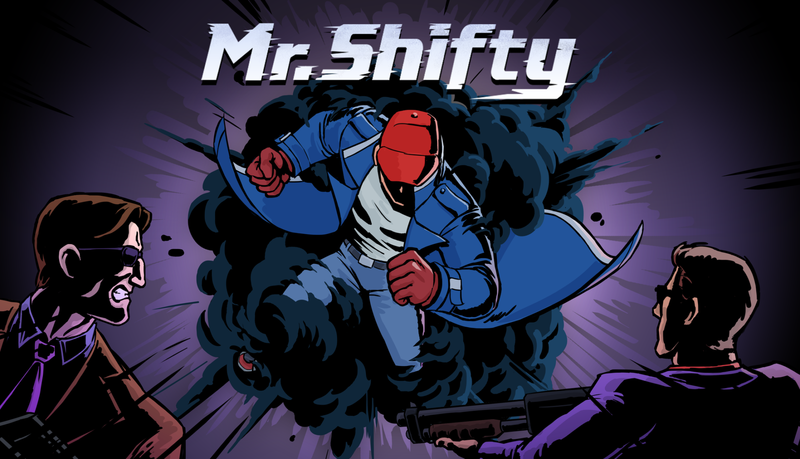 And so will be the music, but it is understandable that Mr Shifty wants to become its own beast and also maybe appeal to a less bloodthirsty audience. I am happy to say that it succeeds at feeling fresh and new. It is a pure joy to play and I am left wanting for more. 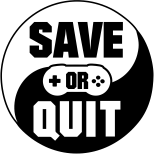 The game is scheduled to be released during Q2 2017. Keep an eye on it.